Where can i buy the best?MCT Oil? In this post we’ll look at places to buy MCT oil. We’ll cover multiple resources so you can get your hands on the stuff. 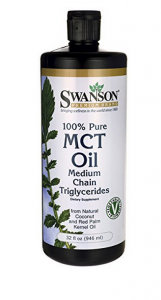 ?After you’ve found a good source to buy from, feel free to stick around and learn more about MCT (or Medium Chain Triglyceride) oil. While you can find small amounts of of it?in natural food sources, the way more concentrated sources are from pure oils harvested and bottled. 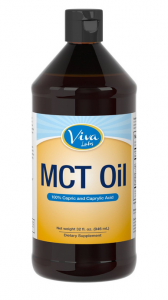 On Amazon you can find the best variety of products containing MCT. ?As a rule of thumb, you want 100% pure oil (no addititives), sustainably harvested and ethically traded. 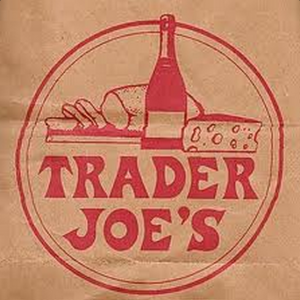 Health Food stores – like Trader Joe’s – often carry MCT Oil. If you’d rather not order online or are looking to pick up some oil sooner then you might be able to find some on your next grocery trip. ?1.) What is it made out of? The oil is derived mostly from processing coconut and palm kernal oils. The partially man made oils that result (yes, they’re processed in labs) are called medium-chain trigylcerides. As a result of the processing?we have something dirrent?than what’s usually found in foods. You’ll normally encounter long-chain and short-chain varieties in nature, rather than the medium chain forms found here. There are three general lengths of fats in relation to their carbon and hydrogen bonds. And long-chain have 13 to 21 bonds. 2.) What are the benefits of eating it? A big benefit is that these fats are more easily assimilated by the body. ?Meaning that the body can break it down fast and put it to use as energy. This is because their long-chained counterparts are more complex, meaning that the digestive system has to do a bit more work to break them down. ?They’re actually processed a little differently. Other fats go through the usual digestion process, but these fats are instead delivered to the liver where they get broken down like carbs. But unlike carbs, their energy lasts a bit longer. They also don’t require bile to digest, so they move quickly and simply through the GI tract and into the blood stream. This can’t be said for long-chain varieties. This means that people who have difficulty absorbing and assimilating their foods (think Crohn’s patients, those without a gallbladder) who buy MCT oil will have a much easier time digesting these fats and get more bang for their digestive buck. Another benefit is their likelihood to promote weight loss. Studies, such as this one, have confirmed this to some extent. One of the best benefits known for MCT consumption are the hormonal effects. They can help normalize body systems and aid in the treatment of metabolic syndromes. It won’t be drastic, but their consumption can revitalize metabolic function and return it to healthy levels if amiss. It does this by improving the bodies ability to regulate sugar levels and appetite regulation. Additionally, those who are following a ketogenic diet can supplement in order to eat more carbs, all the while staying in ketosis. This is because it enhances ketone production. Once you’ve found out where to buy your oil then you’ll have to find some ways to add it into your diet. Luckily, it’s pretty easy to add it into your routine. Below are 5 great recipes which use MCT – either in pure oil form or with coconut oil. Below are some great snacks that utilize coconut / medium-chain trigylcerides. You can either cook with the oil itself or mix it with other oils. Just know that the highest temps used should be <320 degrees, as the oil will oxidize after that. 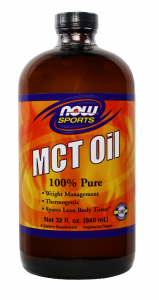 Once you’ve figured out how to buy your MCT oil, remember to start out consuming it slowly. This is especially so if you haven’t already been consuming a lot of fats. If you eat too much you could get sick. Nausua will set in if you gobble too much down, and you’ll likely experience lingering digestive issues for a day or too. To be safe, limit your initial trials to a tablespoon or too. Yes. It does not require insulin and will not raise blood sugar levels. you should be careful with this when you have diabetes as it raises ketone levels in the blood and could lead to problems. I would recommend that you talk to your doctor before starting. To be safe, limit your initial trials to a tablespoon or too (correction: two).